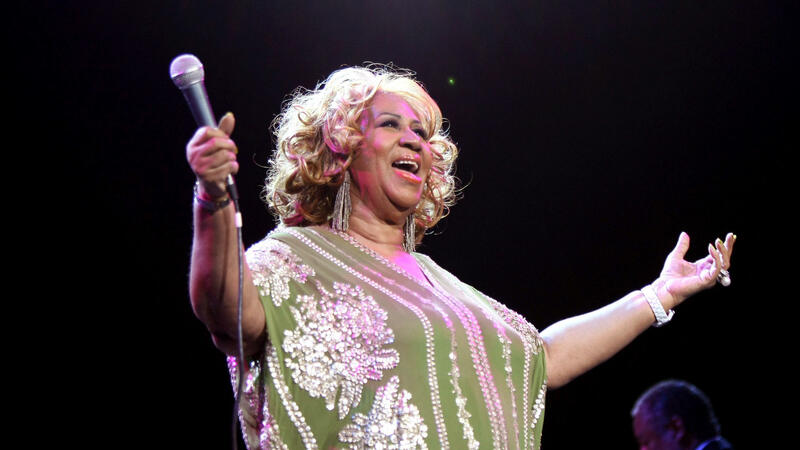 Aretha Franklin performs at Radio City Music Hall in February 2012 in New York City. On the day of Franklin's passing, I'm joined by some special guests to commemorate and celebrate the Queen of Soul's immeasurable contributions. Detroit resident and gospel music professor Dr. Deborah Pollard shares how Franklin's upbringing in the New Bethel Baptist Church influenced the music she made and what it was like for the city of Detroit to watch Franklin perform at President Barack Obama's inauguration in 2009. NPR Music Senior Director Lauren Onkey shares her memory of taking Franklin and her family on a tour of the Rock & Roll Hall of Fame and watching the legend deliver an impromptu performance onstage during American Music Masters tribute in 2011. NPR Music critic Ann Powers shares insights on how we ought to remember Aretha, and Music Inside Out host Gwen Thompkins talks about what the song "Respect" means to women, to the civil rights movement and to Franklin herself. I hope you can listen in the player , and then I hope you'll go find a new Aretha Franklin album you've never heard before and listen to it from start to finish.